players as well as the public. Now music in Nigeria can be easily heard abroad which actually has promoted the Nigeria music industry and even there have been many other music sites like Notjustok since the launching of the site. Therefore Ovie’s Notjustok impact on Music in Nigeria wouldn’t go unrecognized. And the site is currently co-owned by Ovie .O and Demola Ogundele. Uche started BellaNaija at a very tender age of 25 and she has been able to achieve great things with her incredible leadership and commitment. BellaNaija.com is Nigeria’s premier lifestyle, entertainment and fashion website, and garners an average of 10 million page views every month. Uche was featured on Oprah Winfrey show, Beauty Around the World, in February 2010 and was interviewed by Isha Sesay for CNN i-list in September, 2010. Winner of the International Young Media Entrepreneur of the Year Award for 2013 and she has most recently been named as one of the ’30 Most Promising Young Entrepreneurs In Africa in 2014′ by Forbes. Her website blog’s impact in Nigeria’s online industry is quite a reputable since its launch. the blog which was one of the things that inspired another great blogger Linda Ikeji and others. The website is said by many people that it is visited by lots of matured minds which also is said to be a site with quality contents. It is also obvious she has workers employed by her to work on the site which actually has contributed to unemployment in the nation. Jide is the founder and owner of one of the first tech blogs in Nigeria ogbongeblog.com, the website which is quite known by many for its tech,business,social media services can be said to be best tech blog in Nigeria following the reputation it has garnered in the past years. Jide’s blog has helped so many bloggers and other internet entrepreneurs a lot with good and explanatory tutorials. Well, he has won so many awards and also nominated for many. 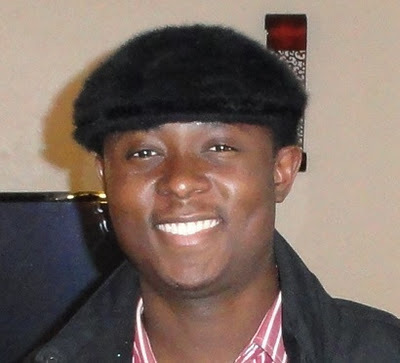 Seun is the founder of the popular online forum “Nairaland” majorly for Nigerians. The site which was launched in 2005 was the most visited website in Nigeria and Africa as a whole for so many years until 2015 when its position was overtaken by jumia and konga. Nairaland currently has over 1,300,000 registered accounts (March 2015), and is currently ranked as the 9th most visited site in Nigeria (and the most visited indigenous site) according to Alexa.com. Nigeria reportedly has over 55 million Internet users, corresponding to 32.9% of the entire population. The forum has helped many Nigerians a lot since its launching as many interesting topics and discussions are always made there. Nairaland has had a huge contribution to employments in Nigeria has also helped many business men and women, the forum is also known to be where most Nigerians voice out online. And also Nairaland is one of the oldest and still existing sites in the country. Seun has been nominated for many awards and also made Forbes list in 2013. Jason is a Nigerian millionaire and Internet entrepreneur founder of the popular home videos platform IROKOTV, made history in 2012 when he completed what was possibly the largest fundraising round in the West African tech world. The founder and CEO of iROKO Partners, the largest digital distributor of Nigerian movies and African music, raised $8 million from New York-based Tiger Global Management. IROKO Partners is the holding company behind the successful iRokoTV, NollywoodLove, and Njoku’s latest venture, African music streaming service iROKING. Now, Njoku and partner Bastian Gotter have launched SPARK, a $1 million-backed company to support and develop aspiring Nigerian tech and Internet entrepreneurs. Based in Lagos, SPARK builds companies in Africa’s Internet sector. He was listed by Forbes for ‘Ten Young African Millionaires To Watch’ in 2012. Jobberman.com was co-founded by Opeyemi Awoyemi, Ayodeji Adewunmi and Olalekan Olude; all university students at the time the company was founded. They shared the same interest in the Internet space and started Jobberman from the Obafemi Awolowo University campus during the Industrial Strike Action by Nigerian Academic Staff Union (ASUU) of August 2009. In February 2012, Jobberman got named as #8 in Forbes Magazine Top 20 Tech Startups in Africa and got featured in the recently released McKinsey Internet Report on Aspiring Countries as one of the Innovative Companies in Nigeria. The popular website’s influence has been really really great in the country. Nairabet which is widely known as the first and the No. 1 sports betting organization in Nigeria and one of the best in the world. He also has a personal website, akinalabi.com where he gives out cash prizes almost every week. 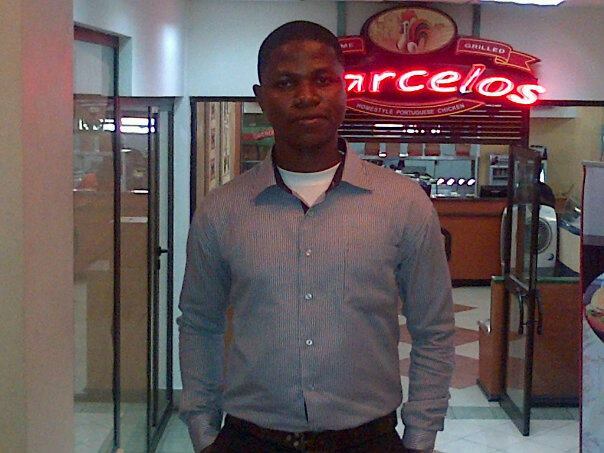 Akin started from a very humble beginning and with great determination and hard work, made his way to the top. He started his journey as an internet entrepreneur selling information products. Otunba has been interviewed severally on popular TV stations and blogs. He was recently interviewed on CNBC . Since the start of the betting site Tens of sites like Nairabet has been introduced to the Nigeria betting world which is one of the trending things in the country presently. a $3.5 million seed round from Investment AB Kinnevik . The site initially functioned as a Lagos-only online retailer focused on merchandise in the Baby, Beauty, and Personal Care categories, but broadened its scope to all of Nigeria in December 2012 and gradually expanded merchandise categories through 2012 and 2013. In January 2015, Konga was ranked as the most visited Nigerian website by Alexa Internet. According to Sim Shagaya, Konga “leads the field in Nigeria today [early 2015] in Gross Merchandise Value,” a metric measuring the total value of merchandise sold particular marketplace. After the launch of the popular platform other rivals started theirs too in which there are too many of them as of 2015. The platform also has over 700 staffs in the country presently and providing online jobs for thousands of partners online with their affiliate program. Mr Henry O the founder of iReportersTv, which is the largest platform in the world for African Videos, the video platform launched back in 2012 is now known to be one of the top source of income for bloggers and other internet users in Nigeria and Africa as a whole. The website is said to have hundreds of thousands of users presently, the platform which is meant for uploading videos and sharing them to earn money also has tens of thousand active producers and promoters. The platform is said to be spending close to 10million naira monthly to pay it’s partners, as it was said that there are partners who earn as much as 2million naira monthly from the popular video platform. The platform which claimed they have provided job for up to 10,000 Nigerians as at 2013 could be said to have make a huge influence in the country’s internet world. The video platform also has few celebrity producers with their channel on the platform, likes of Teju baby face, At comedian and others. Though the platform has few critics in the media for fake and sexual videos uploaded by the producers which has quite affected the platform a bit, it’s impact would still be notice. The recent info we got on the platform is that the platform would be rebranded into a new and a better video platform with a new name. Linda Ikeji started blogging fully in 2007 to share things that she was interested in with her readers. Five years later, lindaikeji”s blog has grown to be one of the most visited sites in the country. As a regular source for news, entertainment, celebrity gist, gossip and many more, her blog continues to attract thousands of visitors. 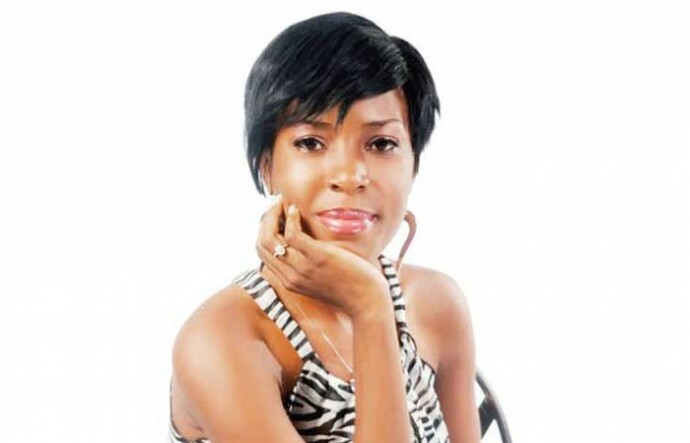 Linda Ikeji has earned herself the title ‘Queen of Blogging’ . Linda was persistent , focused on what she did even though there was no financial return but five years later it has yielded great profit , a talk of all. She found a new path ,Blogging . But she persisted until 2010, when some of the stories posted on her blog began to ruffle feathers. At a point, Linda averaged about 1 million unique visitors each month to her blog. And with that came the much-needed recognition and substantial earnings. In August 2012, Forbes Africa described her as a success and a case study for the business of blogging. Linda Ikeji has been concluded to be the most influential online entrepreneur in Nigeria by TMTN for the impacts her blog and herself has made in the recent years, Her blog is now one of the most trusted sources when it comes to information in Nigeria, even news papers and presenters refer to her blog and most bloggers like her get informations from her blog. Linda Ikeji has also proven herself to be a good philanthropist has she often give back to the readers on her blog it’s been noticed Linda Ikeji spends millions of Naira making giveaways on her blog every year in which we think contributes to the lives of others positively. PS: THIS NOT AN ALL TIME RATING, ITS FOR YEAR 2015, LIST MAY BE DIFFERENT NEXT YEAR.